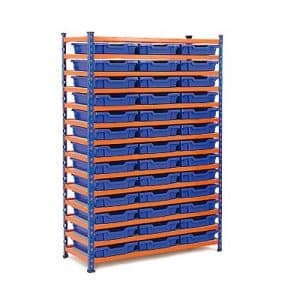 Medium Duty Shelving with 27 cardboard bins. Individual Bin Size – 115h x 250w x 305d. High grade corrugated cardboard bins. Supplied flat and made up in seconds. Complete with 10 chipboard levels. Bins Supplied flat but can be made up in seconds. 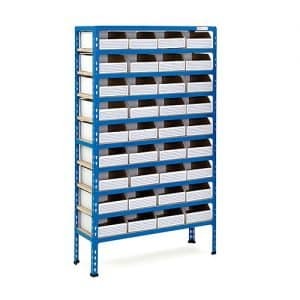 Shelving for 24 shallow Gratnells trays. Adapted from our GS340 Shelving range. 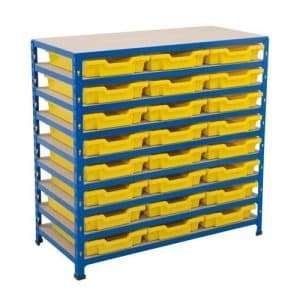 Shelving for 39 shallow Gratnells trays. Adapted from our Medium Duty Shelving range. 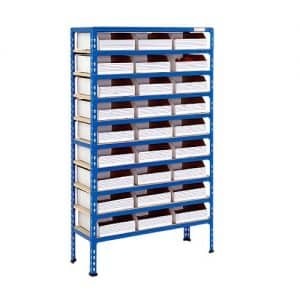 Shelving with 24 deep Gratnells trays. Adapted from our GS340 range. Medium Duty Shelving with 36 cardboard bins. Individual Bin Size – 115h x 200w x 305d. 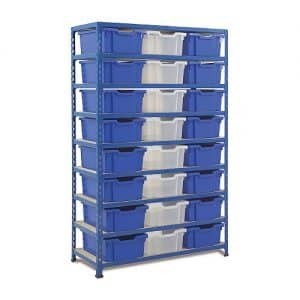 Medium Duty Shelving with 54 cardboard bins. Individual Bin Size – 115h x 150w x 305d. 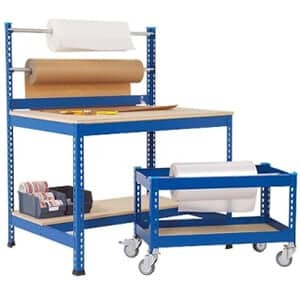 If you are searching for medium duty storage unit that fits well to every environment, then medium duty shelving units is an ideal storage solution for you. They are available in a range of widths and depths. The bays of each and every unit exhibits high quality paint finish in order to ensure utmost aesthetics and protection of the bays from any possible corrosion or rusting. 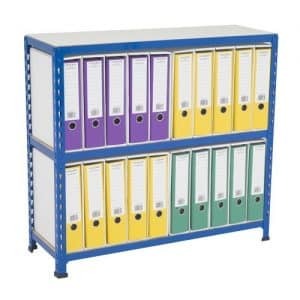 The shelves in light duty shelving units varies between 4 to 6. 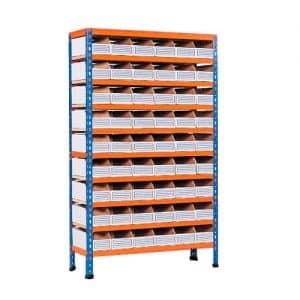 The capacity of each shelf lies between the ranges of 188 to 340 Kg UDL. The shelves are made of chipboards, melamine or galvanized steel. The height of the units varies between 1600mm-1980mm while the width varies from 900mm to 1200mm. The shelves can accommodate several bins depending on their size and the depth of the shelving unit. The units are available in a variety of colors. 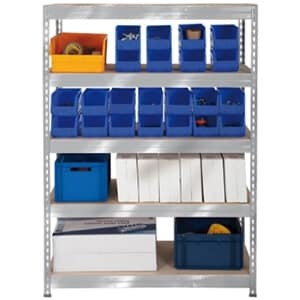 All the medium duty shelving units are stand-alone but can also be fixed to the wall. The assembly if the shelving units is easy and fast. It actually requires just one tool, a mallet. The process is entirely boltless. 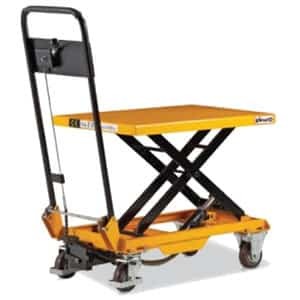 All the units are equipped with protective feet to make safe to handle and to protect it from damaging the floor upon which it sits on. The shelves also come with safety weight loading labels to help you not to exceed the acceptable limits. 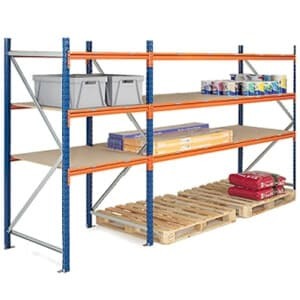 On buying any medium duty shelving unit, it is delivered to you within 48 hours. When you buy any of these products you qualify for loyalty points which are redeemable for money. The amount of loyalty points varies from a steel shelving unit to another. 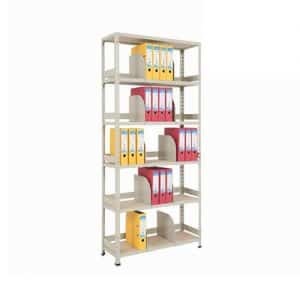 Buy a medium shelving unit today and enjoy timely delivery. 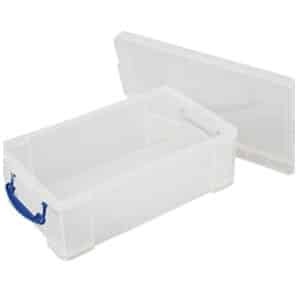 It sure is the most ideal way to eliminate clutter in any storage space, and ensuring safety and order. Go ahead, pick a steel shelving unit of your choice!